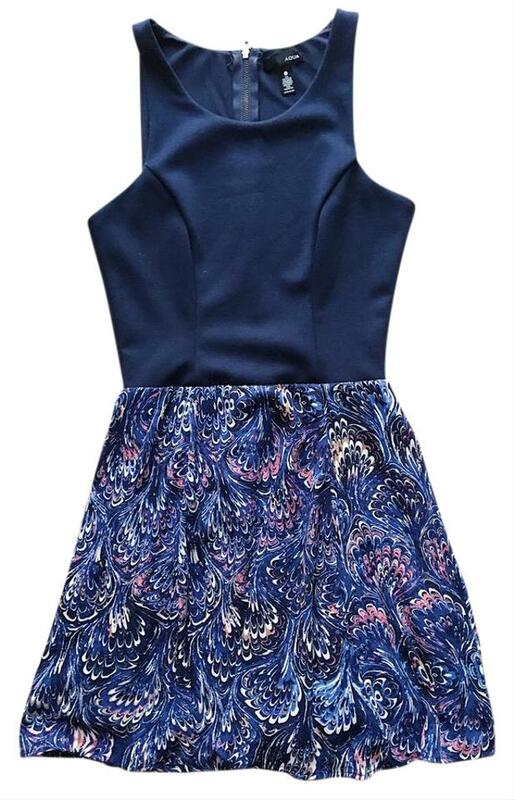 A cute and flirty, fit and flare dress by AQUA. 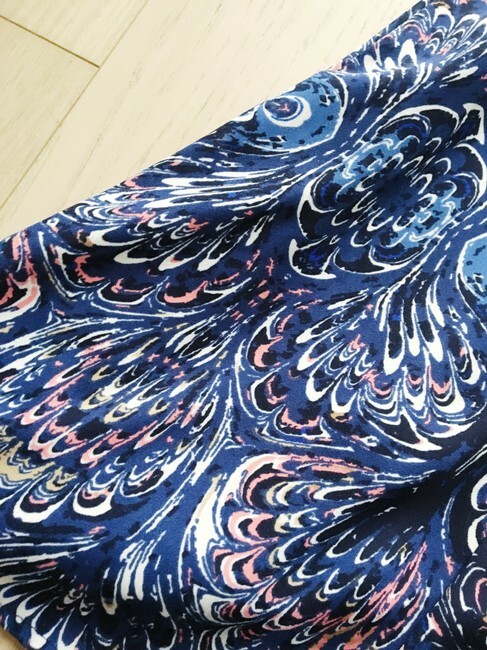 The dress has a sporty racer cut top that stretches, and a lined airy paisley skirt. 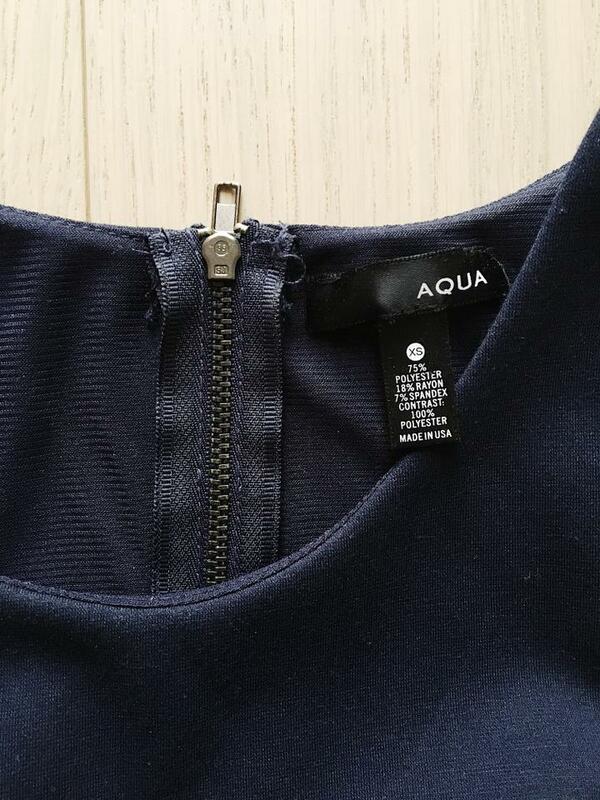 Exposed zipper detailing on the back. 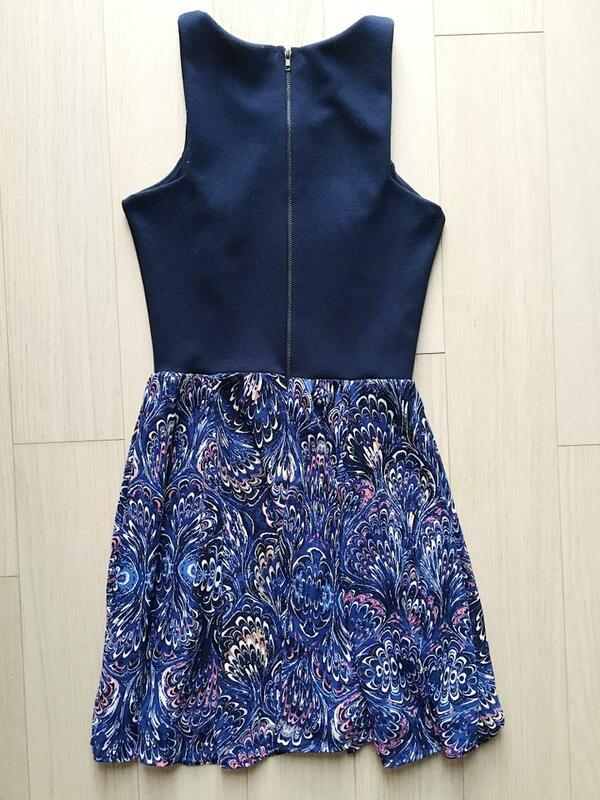 A great dress for the office or special occasion (a graduation, family gathering, or brunch with the girlfriends).